Bears and humans tread common ground in NATURE’s Walking with Giants: The Grizzlies of Siberia. Jutting into the North Pacific from Siberia, Kamchatka is a rugged peninsula of volcanic craters and steep valleys. While its impenetrability once made Kamchatka the perfect home of a notorious Soviet prison camp, its isolation also has kept it a haven for one of Earth’s last giants, the grizzly bear. 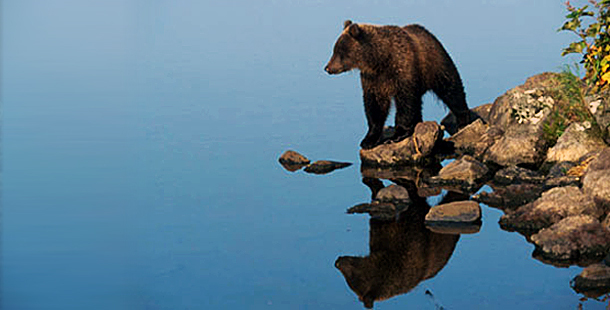 In fact, there are more grizzlies per square mile there than anywhere else on the planet. The discovery of this bear sanctuary gave two naturalists, Charlie Russell and Maureen Enns, the opportunity they’d been looking for — to live among the grizzlies and study them in close proximity to understand their true nature.